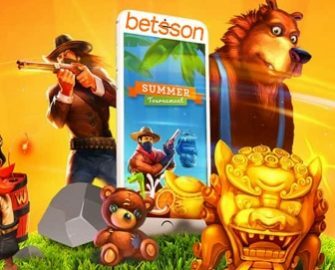 Betsson – €70K Summer Tournament! 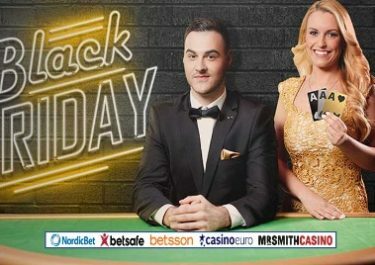 Win up to €5,000 in cash, every day and up to €15,000 on the weekend! Join your fellow reel warriors this week on a selection of Quickspin games to score a big summer cash prize. Four daily races will see the 50 best spinners walking away with a share of €10,000, while after a marathon race throughout the weekend has a massive cash prize pool of €30,000. Quickspin has chosen some of their most thrilling games such as Dwarfs Gone Wild, Sticky Bandits and Goldilocks. Get spinning! An exciting week is ahead of all Quickspin fans and wannabees. In a network wide campaign, they will be giving away a total of €70,000 in cash in five daily races and one weekend-long marathon. The TOP50 fastest spinners of each race will share the prize pools, all in cash with no wagering requirements. A perfect opportunity to win some serious extra summer cash. Daily Races: A daily race will run every day from Monday to Thursday, ending at 23:59 CET. Weekend Race: The last race will run between Friday and Sunday, 23:59 CET. Earning leader board points: Score 5 | 50 for every Scatter symbol | every Free Spins round. All players receive a unique identifier, displayed on the leader board, available within the game during the tournament period. There is no minimum bet size required to take part in the race. All prizes will be added the day after the race. All are in EURO and will be converted to the players’ account currency, credited in cash with no wagering requirements. The TOP50 spinners of each race will win a share of the prize pools. Daily Prize Pool – €10,000: 1st – €5,000 | 2nd – €1,500 | 3rd – €700 | 4th – €400 | 5th – €250 | 6th to 10th – €100 | 11th to 20th – €75 | 21st to 50th – €30. Weekend Prize Pool – €30,000: 1st – €15,000 | 2nd – €4,500 | 3rd – €2,100 | 4th – €1,200 | 5th – €750 | 6th to 10th – €300 | 11th to 20th – €225 | 21st to 50th – €90.